The sun shines bright on the canals of Venice, and in his seat in the motoscafo, Reuben Frost can’t think of anywhere he’d rather be. For more than two decades, Frost and his wife have made an autumn pilgrimage to the Bride of the Sea, and he credits the city’s restorative effects with helping him survive long into retirement. As always, the couple stays in the legendary Hotel Cipriani, presently occupied by the outrageous fashion designer Gregg Baxter, but this time they’ll learn there’s more than one way to die in Venice. 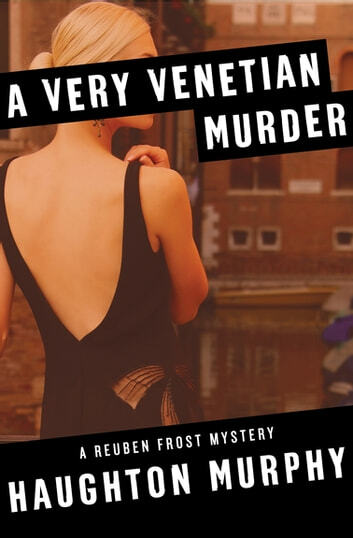 After surviving an attempted poisoning, Baxter is found stabbed to death by a colorful hand-blown glass dagger—the weapon of choice for Venetian assassins ever since the Renaissance. With the help of Commissario Valier, an Italian detective, Frost must find the killer or risk spoiling his vacation. A Very Venetian Murder is the 7th book in the Reuben Frost Mysteries, but you may enjoy reading the series in any order.